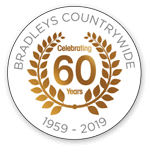 Bradleys Countrywide is an independent, privately-owned business offering a professional service with specialised departments covering Business Transfer, Commercial Property sales/lettings, Residential sales/lettings and Property Management. We are based in Hadleigh, Essex but cover the South East of England including Essex, Suffolk, Hertfordshire and East London. Established in 1959, with the senior partner of the firm having over 25 years knowledge of all sectors and an experienced team of dedicated staff you can rest assured your requirements will be handled with exceptional care and professionalism provided at competitive fees. For more information on any department please navigate our easy to use website.